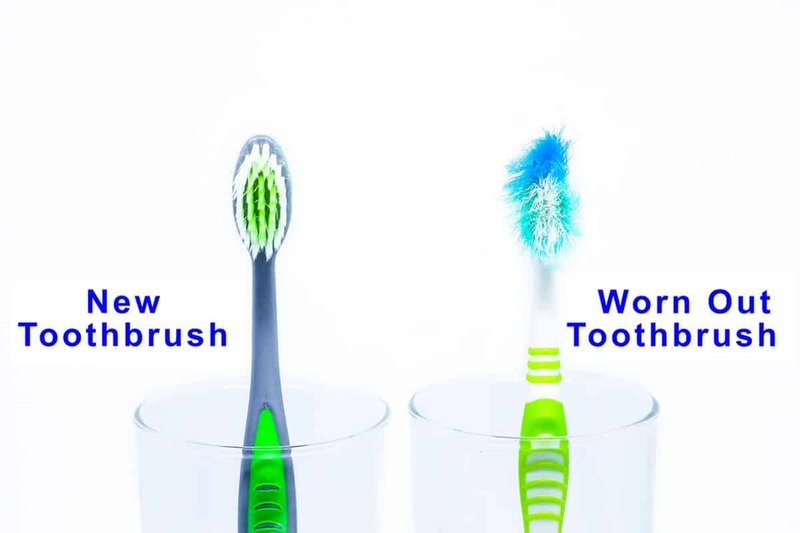 Prime Dental AssociatesBlogNewsWondering When To Change Your Toothbrush? The American Dental Association (ADA) recommends that you change your toothbrush every 3 - 4 months, or sooner if the bristles are worn. A toothbrush won’t work as well at cleaning your teeth if the bristles are frayed. Johnsburg dentist, Dr Victoria Kushnir agrees with the ADA! She and her dental hygiene staff recommends that you change your toothbrush every 3 months or sooner if you have had a cold or the flu. If you are using an electric toothbrush, the same rules apply. Another idea is to mark your calendar so you change your toothbrush on January 1st, April 1st, July 1st and October 1st! You could put an alarm on your phone!